Known for their unforgettable rock anthems (e.g. “Don’t Stop Believing,” “Separate Ways,” etc.) and chart-topping power ballads (e.g. “Faithfully,” “Open Arms,” etc.) Journey has been a significant part of America’s pop culture for over 40 years. The casual fan, however, might not be aware that the Rock & Roll Hall of Fame band has at times laced its lyrics with biblical references. On the 1978 breakout album Infinity, the hit song “Wheel in the Sky” had some critics and fans speculating that the title might be taken from Ezekiel 1 and the prophet’s elaborate vision. 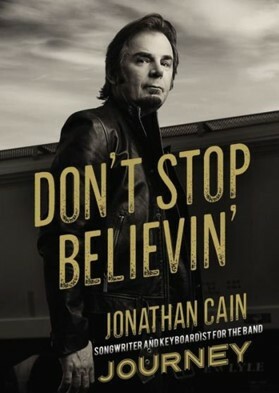 While the band has never confirmed a direct correlation, there have been other more obvious instances such as the song “Believe” from the 2005 album Generations, which utilizes a portion of John 8:32. The most obvious shift towards biblically themed lyrics, however, can be found on the 1996 album Trial By Fire, which featured the songwriting team of Steve Perry and Jonathan Cain for the last time before Perry parted ways with Journey. According to Cain, Perry brought his Bible into the studio and the two pondered what would happen if they used some of its text as their inspiration. In 2016, Cain recorded the solo album What God Wants To Hear and for the first time wrote all of the songs based on the Christian faith and the Bible. Dear Lord, we thank You for the way Your word finds its way into the may stream. We pray that those that hear the words will be open to the message. In the Name of Jesus, Amen.